In Photo Adventures for Kids: Solving the Mystery of Taking Great Photos from Rocky Nook, photographer and author Anne-Laure Jacquart encourages your child's passion as a photo adventurer through the art of photography. In this book children are taught how to take a great photo anywhere they are. Whether they are home, at school, in the yard, on a field trip, in an urban environment, or surrounded by nature, they will learn to see great photos in any location. 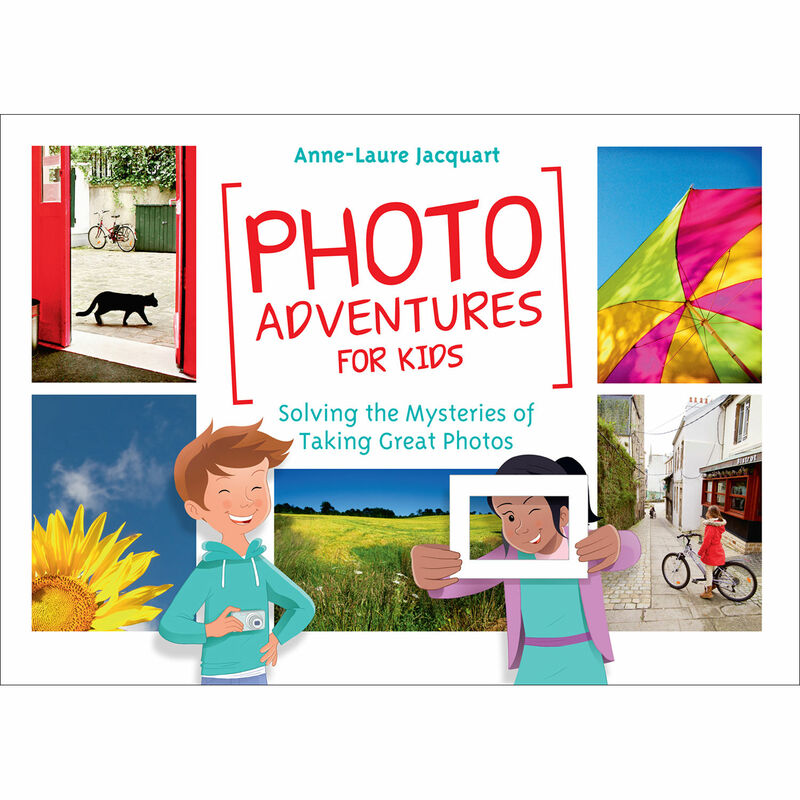 Filled with games, strategies, lessons, and challenges, Photo Adventures for Kids makes learning about photographic composition and framing easy and enjoyable. The back of the book is a cutout "viewfinder" which kids can use to explore their environment.